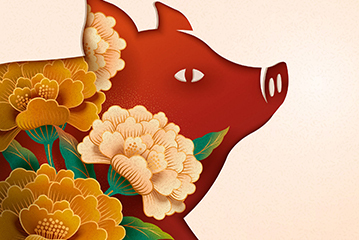 Happy 2019 and Happy Lunar New Year of the Boar (Pig). Experts on these matters suggest the boar’s resourcefulness and down-to-earth approach to life is auspicious for the coming year. At Odaiko Sonora, we’re experiencing an unprecedented level of interest in learning taiko, with beginner classes of 25-30 students (3 times the past average). We have a whopping 11 performances scheduled in February and March, and will be completing 5 school residencies. Remember, you have till April 15 to send 2018 school tax credit donations to OMA Taiko programs at Cavett or Oyama Elementary Schools; to Village Meadows Elementary in Sierra Vista; or to support our Taiko Mind programs at Ash Creek and Elgin Schools. It costs you nothing to help these kids learn the culture, discipline and fun of taiko! Most notable of our upcoming performances will be a full-length concert at the Green Valley CPAC on March 13. There are only 49 tickets are left! Purchase yours today! Meanwhile, join us for short programs at the Tucson Zoo’s Asian Lantern Festival February 8 and March 8; at 2nd Saturday Downtown from 5-6pm on February 9; and at the Tucson Festival of Books on March 3. On February 23 and 24, we’ll be up in Phoenix for AZ Matsuri performing a 55-minute set at 10:45am on Saturday, joining Phoenix Taiko Kai on a couple of songs, and have several members participating in the All AZ Taiko Team performance on both days. If you are interested in trying taiko yourself, our next AART class begins March 16. Register on our Learn Taiko page or by emailing us. Lastly, mark your calendars for Shidara at the Fox Tucson Theatre on May 12! Odaiko Sonora is teaming up with the Fox to bring this amazing, award-winning taiko group direct from Japan! It will be a great Mother’s Day adventure, with a special VIP Reception and more!